When the workers who laid the Union Pacific Railroad track saw this little pine tree that seemed to be growing out of a granite boulder, they jogged the path of the railroad sideways to preserve it. They dubbed the unique feature “Tree in the Rock,” and the name stuck. 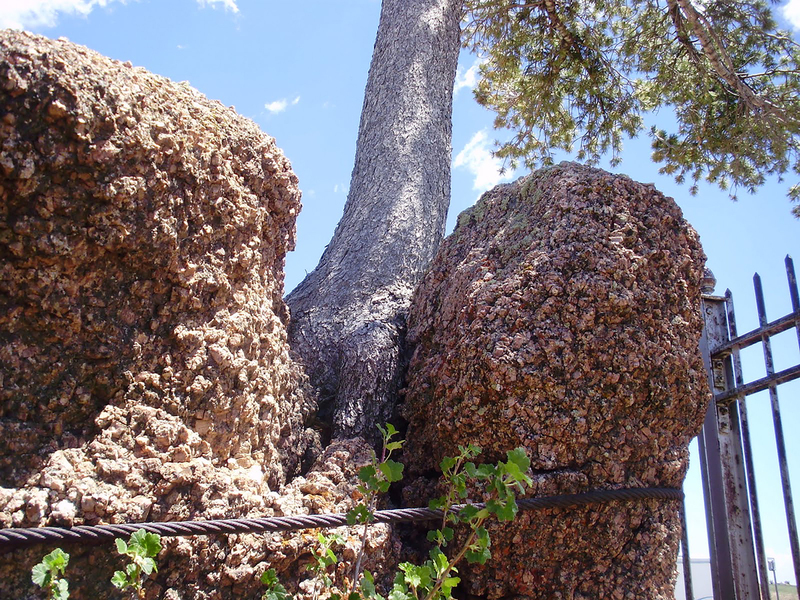 On closer scrutiny, the tree appears to be growing from a dirt-filled depression between several big rocks rather directly from a boulder. Today, it is simply called “Tree Rock” and has become a national treasure and tourist spot along the Lincoln Highway (I-80 between Cheyenne and Laramie). We encourage you to stop and visit Tree Rock near the Summit Rest Area and Information Center between Cheyenne and Laramie. Learn more about Tree Rock and the Summit Rest Area and Information Center.